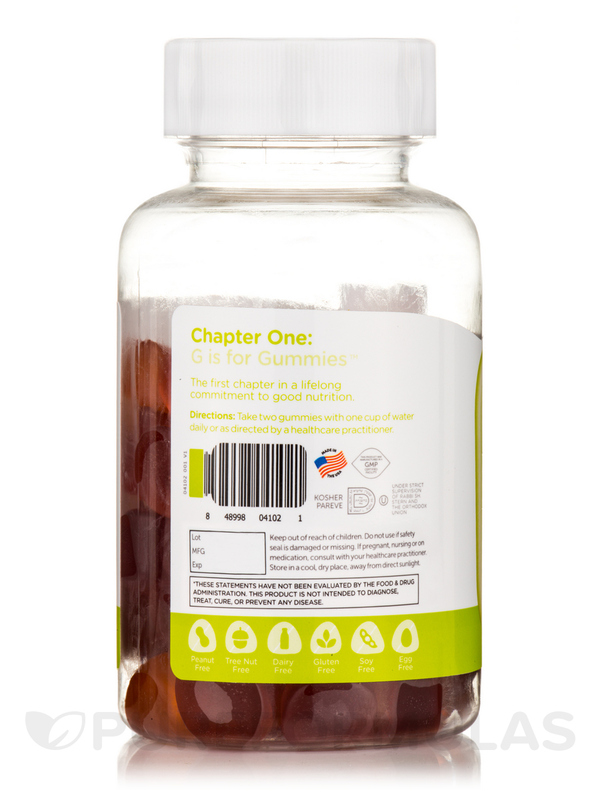 Chapter One Kosher Fiber Gummies for kids contain an excellent source of natural Chicory Root soluble fiber. 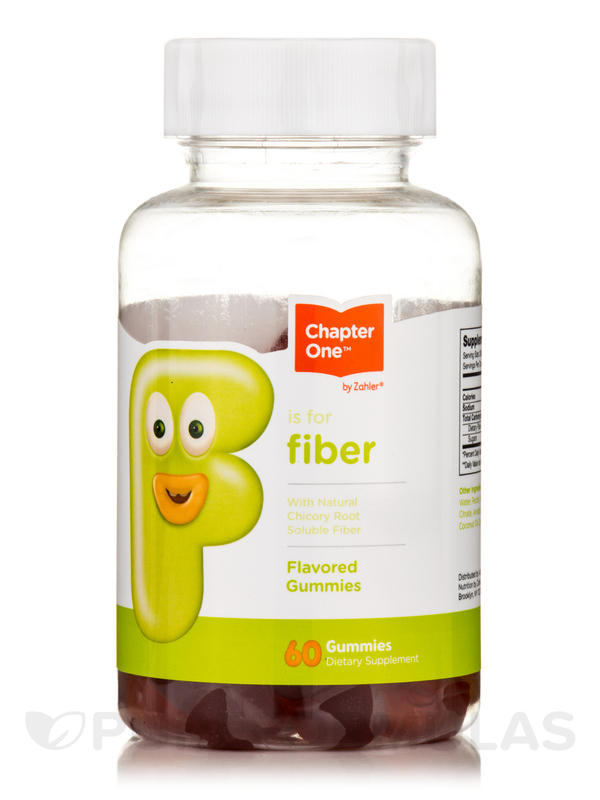 With 3 grams per serving‚ this ideal formula provides fiber in a delicious tasting gummy to support digestive health and to help your child’s tummy feel fuller for longer. 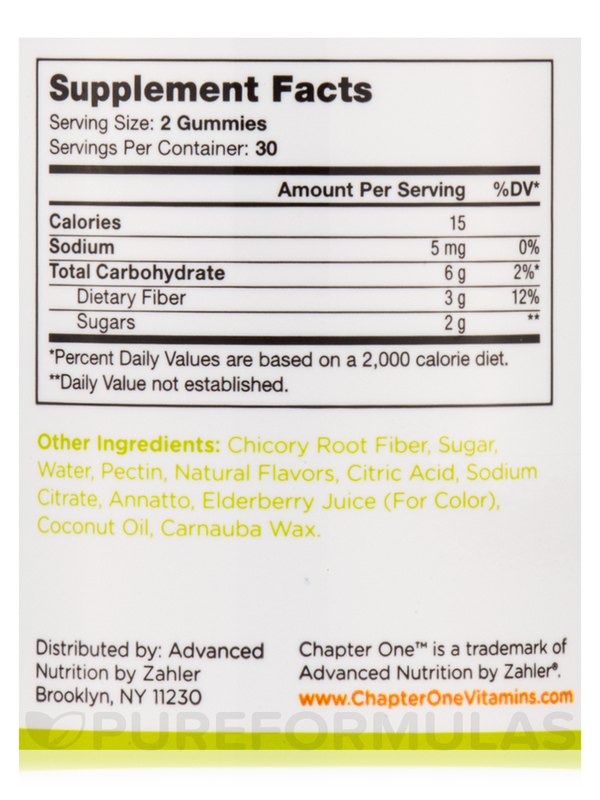 Other Ingredients: Chicory root fiber‚ sugar‚ water‚ pectin‚ natural flavors‚ citric acid‚ sodium citrate‚ annatto‚ elderberry juice (for color)‚ coconut oil‚ carnauba wax. 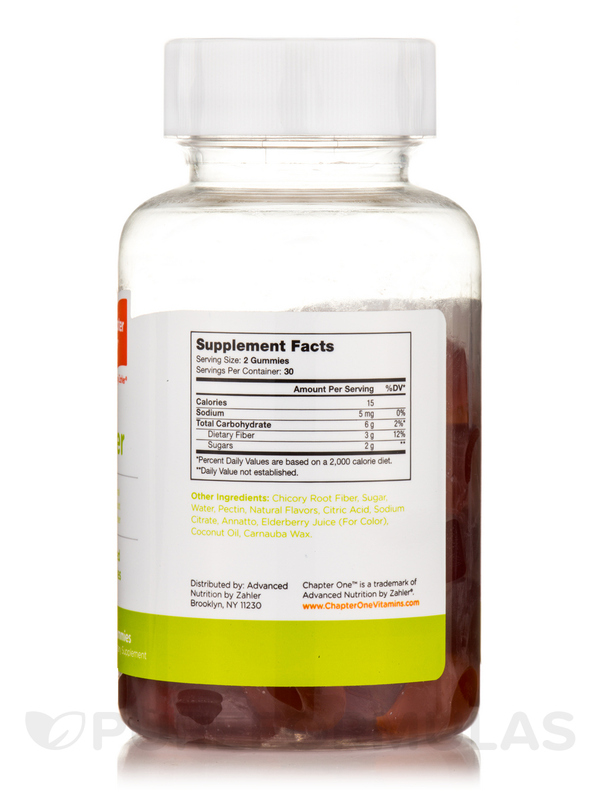 Kosher / Peanut-Free / Tree Nut-Free / Dairy-Free / Gluten-Free / Soy-Free / Egg-Free. Made in the USA / GMP Certified. 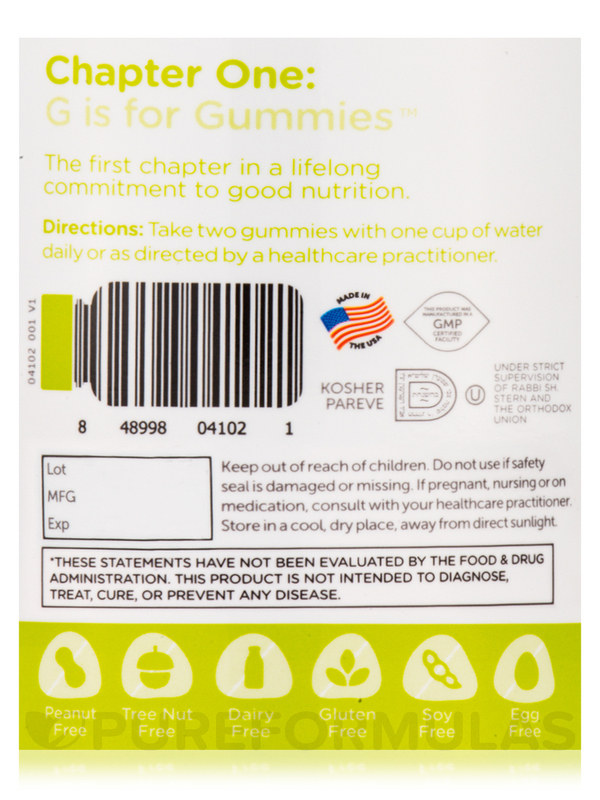 Take two gummies with one cup of water daily or as directed by a healthcare practitioner. If pregnant‚ nursing or on medication‚ consult with your healthcare practitioner. Store in a cool‚ dry place‚ away from direct sunlight.